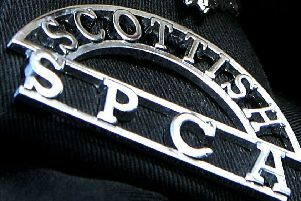 Police have issued an appeal for witnesses to “cold and opportunistic” thefts from a cemetery on the outskirts of Bonnybridge. The thefts took place on November 1 and 2 from two separate graves in the hills of Dunipace Cemetery when large metal coach lanterns were stolen. Families have been left deeply upset at the thefts after placing them in memory of loved ones at their gravesides. Local officers say they have been conducting various lines of inquiry and working with Falkirk Council to prevent similar incidents occurring in future. Inspector John Kellet from Larbert Police Office said: “To steal from a graveside is not only cold and opportunistic, it is of extremely bad taste and both sets of families have been affected by these incidents. “I would ask that anyone who has information relevant to our ongoing investigation contacts police immediately. “Thefts from cemeteries are thankfully rare, but when these crimes do occur, they are very upsetting for those affected. One widower, who asked not to be named, also had solar lights and flowers pinched from his wife’s grave. Members of the public who witness anything suspicious in or around the cemetery, or who can help identify those responsible for these thefts, are asked to come forward. Anyone with information is asked to call 101 or charity Crimestoppers on 0800 555 111.